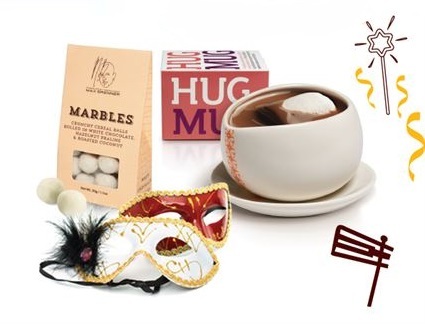 This amazing little Max Brenner care package or Mishloach Manot features a Hug Mug hot chocolate and Marbles, balls of cereal rolled in white chocolate, nougat, and toasted coconut. The perfect small gift for Purim, a romantic gesture, or anytime, really. Yum!